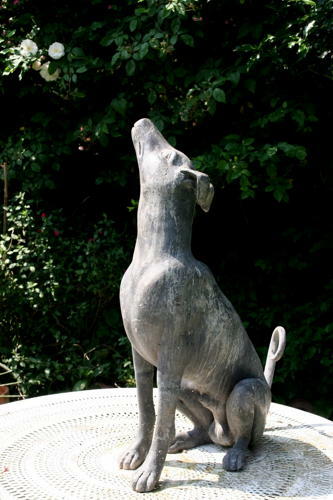 Life sized 1920's Lead dog sculpture. Beautifully modeled life sized Lead dog sculpture, english 1920's. Is he gazing lovingly at his master or staring at the moon? This Chap looks great indoors or outdoors and only gets better over time.